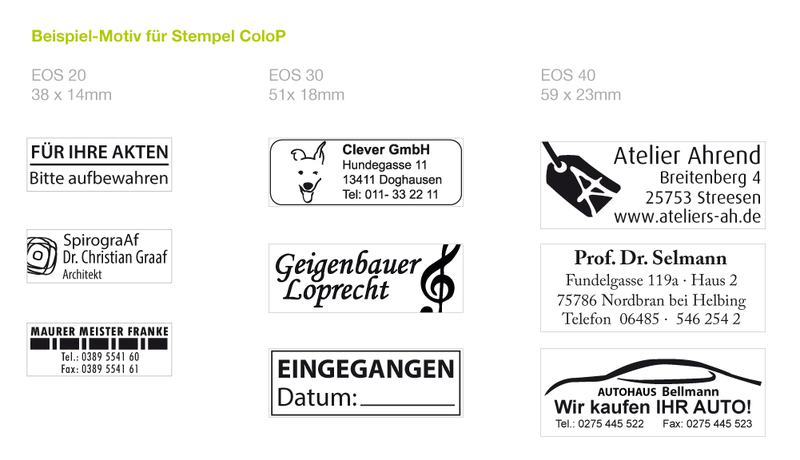 ColoP EOS includes its very own inkpad: the stamp's motive plate. You can create your custom company stamp, adress stamp with logo, mail stamp or stamp for your shop or company in very short time! 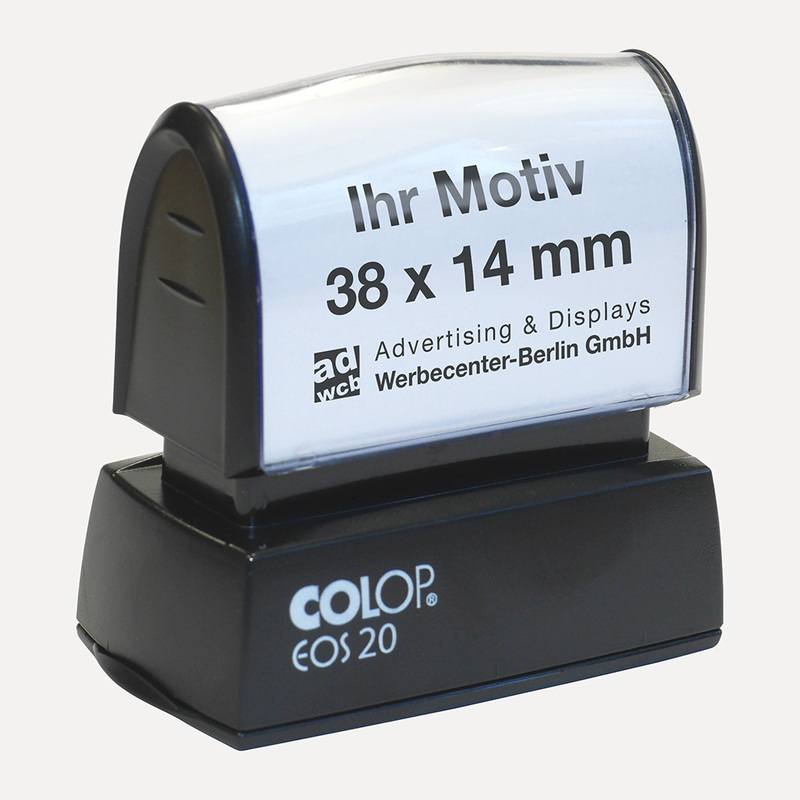 You can select between the 3 different sizes 20, 30 or 40 with black ink. The EOS ergonomically formed stamp grip makes stamping easy to handle and comfortable. It also consists of 50% recycled plastic and can stamp about 10,000 times. If you wish for different models like wooden stamps or date stamps, please feel free to contact us via werbecenter@kraehativ-werbung.de.